Many times your website is the first impression a potential client has about your business. 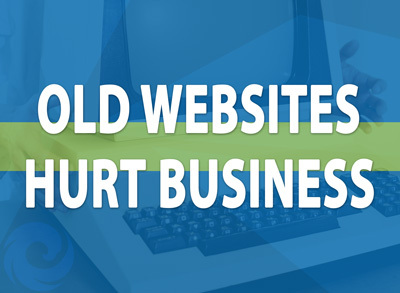 If your website is outdated, it makes a strong statement about your company. An outdated website isn't just a minor hitch. It can make your company look unprofessional, unreliable, possibly lose potential clients, and hurt your google search results. One of the first signs that your website is outdated is the use of outdated information. The copyright year is a dead give away that your website has not been updated recently. The copyright year should include the current year. Old dates on recent blogs, events or articles are another indication that your website is outdated. Make sure to keep these things either current or remove them from the website. A responsive design simply means your Website automatically adjusts for any device from a smartphone, tablet or desktop computer. As more users are using mobile devices (phones/tablets) to surf the web, it is becoming critical that your website is responsive. If your website doesn't look good on the smaller devices it is an indication that your website is outdated. Newer website development technology allows for faster load time for websites. The optimal load speed should not be more than 5 seconds. Users are more likely to surf off your website if it loads slower than 5 seconds. Outdated code, large images or old web technology will make your website load slower. You need to test the load times of all of your key pages on your site. GTmetrix (www.gtmetrix.com) is a free site where you can test how fast your website pages load. With the increase use of social media sites such as Facebook, Twitter and Instagram, it is important to link your social media accounts to your company’s website. If your website doesn’t include a social media bar or links to your social media accounts then your website is outdated. Banner advertising, splash pages and frames were widely popular in the early days of website development. If your website still uses these technologies, then it is time to update your website. Maintaining your website is an investment; especially for a small business. However, it is an investment that is important for a small business. There are several advantages to modernizing your site. The most important reason to modernize your website is that it creates a credible and professional image for your company. You are told not to judge a book by its cover, but we all do. When a potential customer visits your site they will decide in just a few seconds to stay and learn more about your company or surf elsewhere. A modern website will keep clients on your website longer and engage them more than an outdated one. Clients like to do business with companies who are current with technology. Another advantage to having a modern website is that it will give you better search engine results. Google, Bing and all the major search engines will give better search result placements for websites that utilize current design and content. Frequent updating of website content helps keep your website higher in the search engine results. The use of newer web development technology will also give you better placement with the search engines. Nothing can be more embarrassing to a company than a prospective client getting a 404 page error or other malicious content when they visit your website. Older, outdated websites are prime targets for hackers to take down or take over a website. You need to keep your websites updated with current versions of development software. This will reduce that chance of being a security target. 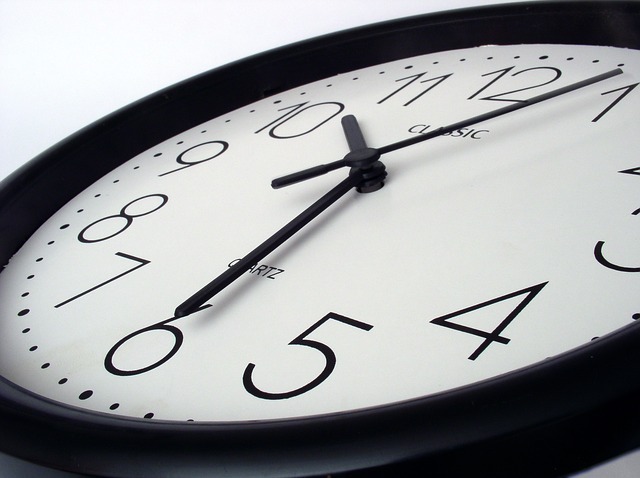 The longer someone spends time on your website, the more likely they are to do business with you. People will spend more time on a website that is modern and has updated/current content. You don’t want your website to look like it was built in the stone ages. It gives website visitors a bad perception of your company. 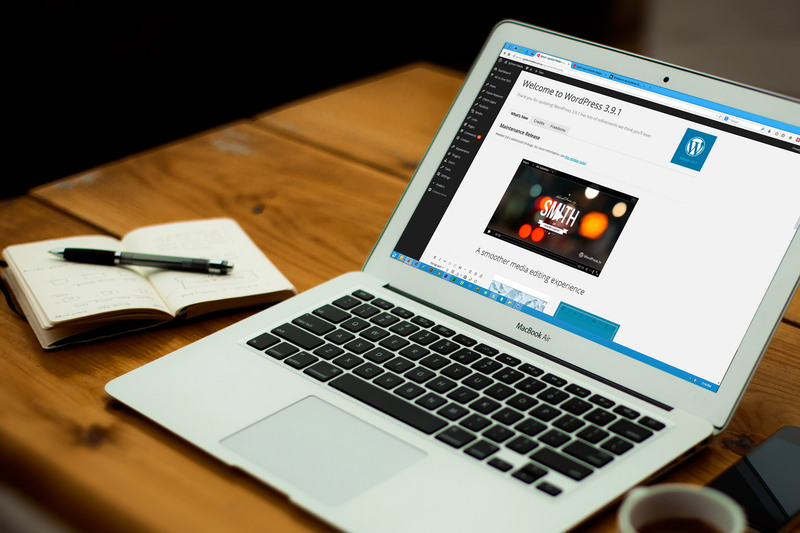 Modernizing your website is an investment, but it is critical for a small business. If you have an outdated website and you want to modernize it, we can help. Visit our website at www.microbizops.com, or contact us at 813-586-1531 / to find out how we can help you update your website.